Hello friends, a few random thoughts for today. Saturday was my husband Chris' birthday. He turned 41. As I will be 43 in a few weeks I can't mock him for his age. I'll have a birthday post coming once I get all of the pictures uploaded. Also, today is Oskar's 5th birthday. Chris got a book on Michigan architecture & I think I really dig architecture. I could't design it, because I can't draw and my brain doesn't work that way, but I like looking at it. Random, huh? I placed a ton of short book reviews on my book review site, Mimi's Year In Books. If you're a reader there's some really good choices there. I would LOVE it if you would follow me there too. I just found out that my Diet Sunkist orange soda has caffeine in it. No wonder I haven't been able to sleep. Since when has Orange pop had caffeine? Is this one of those situations where everyone else knows this but me? If the rule is 'i' before 'e' except after 'c' then why is caffEIne spelled that way? One last Jack story. I took a casserole out of the fridge that I made yesterday. Jack asked what was in it. I said chicken & artichoke hearts. Jack said, "I though artichokes were plants!! You mean their not?" Since they have hearts he thought they were some creature. I couldn't make this stuff up. BTW this casserole is delicious. It's at my friend Emily's site Marvelous Recipes. Here's a link to the Chicken & Artichoke dinner recipe. Mrs. Roper's fashions looked hideous in the 70's. We do not care to have to re-live this look again. OK, so I've been a bad blogger. I ran a contest, then disappeared off the face of the earth! A little sickness, a little computer failure & here we are, just getting the winner of the 3 qt. 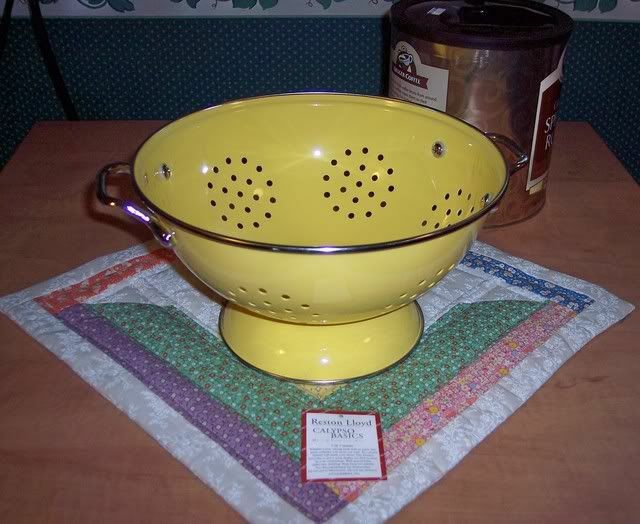 colander from CSNStores.com now! I'm happy to announce the my winner is Emily from Marvelous Recipes. 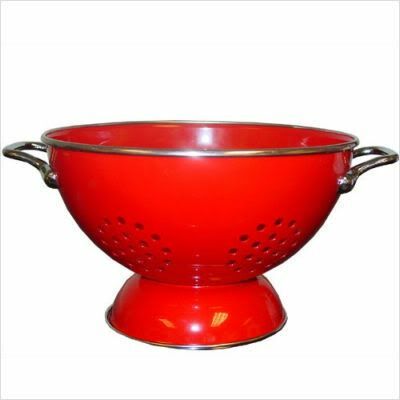 Emily chose the Reston Lloyd colander in red! 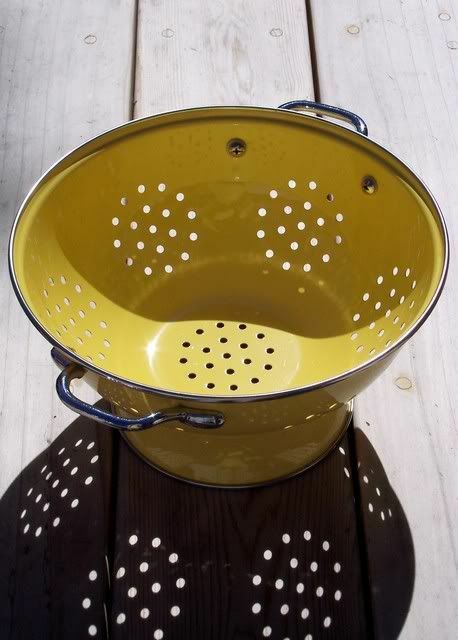 This colander is beautiful & functional. Emily is an amazing cook (I've incorporated tons of her recipes into my everyday rotation) so I know she will enjoy this colander! Congratulations to Emily and thank you so much for your patience. I'm heading off to catch up with all of you now! Okay I would like someone to explain how my baby got so big. In the last year my youngest, Jack, has grown about 5 inches. He loves to point out how he is taller than me now. 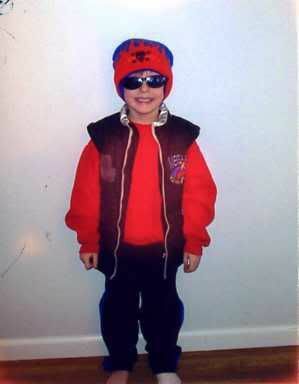 Jack will be 15 in a few weeks & just ended his years in middle school. Next year he will be a freshman at my old high school. 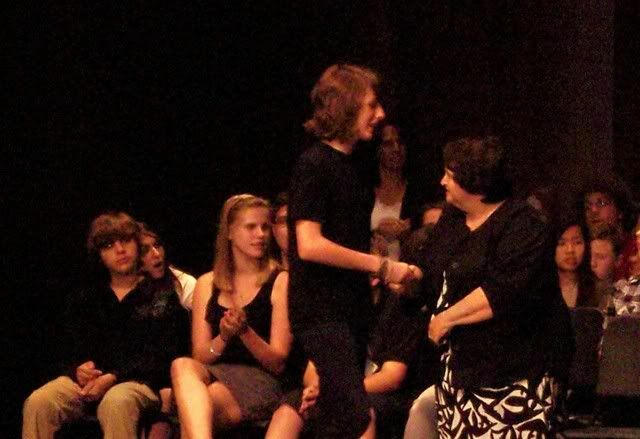 Before ending his middle school experience, Jack won a President's Educational Award. Here's a shot of him getting his award. Besides being a great kid, he is living up to some of my musical expectations by loving bands like The Cure, the Violent Femmes & Bob Marley. He was recommended by his language art's teacher for a program where he will be studying over the summer and taking a test in August to get credit for & skip 9th grade language arts. If he decides not to do this (it requires a ton of reading and doing reports over the summer) he will be in honors english at high school. 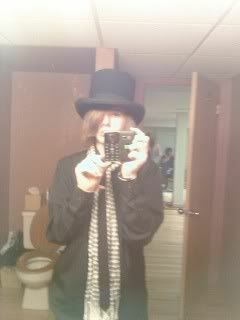 Jack has always had his own sense of style, I don't know too many kids with a top hat, but my Jack has one! 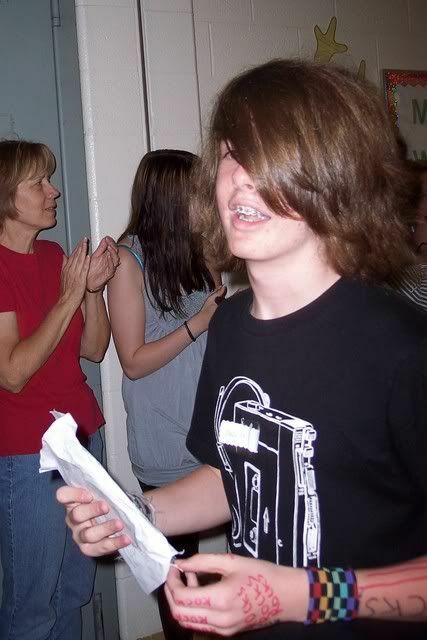 Here's Jack as he left his middle school. Next up is driver's training...I'm gonna need more xanax! Some days you're the big cat & some days you're the kitten! My good friend Diane is taking a little blogging break, so I'm gonna try to keep her Musical Monday meme alive. A power failure here kept me from getting this up earlier, but here goes! I'm feeling a little "Angry American" today, so I thought a little Toby Keith was in order, "Courtesy of the Red, White & Blue". This is also to honor my "Sunday Friend" Jeannie & her soldier husband. What's moving you today? Link up & play along. 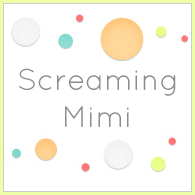 I thought I'd start something new here at Screaming Mimi, Sunday Friends. I've got so many amazing blogging friends I'd like to share them with you. The first one I have to share is my friend Jeannie, from Jeannie's Happy World. We've been friends for about 3 years now & hers is the first personal blog I ever read. If it wasn't for her, I never would have started blogging. Jeannie has 3 beautiful children and one hero-soldier husband. After being stationed in Georgia for far too long, Jeannie & her family are about to embark on a great journey to Italy, where her husband will be stationed next. Jeannie is an amazing cook & a fantastic paper crafter. She specializes in stamping and making beautiful cards. Stop by Jeannie's Happy World, and tell her that Mimi sent you! I'm so excited to finally bring you this review & giveaway from CSN stores. If you're unfamiliar with CSN they carry everything from cribs to housewares. Trust me, if it's for sale, you can get it through one of the online CSN stores. They sent me this super sun-shiney lemon colored Reston Lloyd Calypso Basic 3 qt. colander. I absolutely adore it! Here's what the CSNStores.Com has to take about this colander. This colander comes in an astonishing 14 colors so that you can match it to any decor. They also have a complete line of coordinating pieces that you can add as you see fit. Here's a shot of it with a regular sized coffee can so you can get some perspective on it's size. This is the perfect size for family style pasta or just draining a pound of ground round. When it's not in use here I fill it with some fresh fruit & leave it out on the counter. The holes in the colander allow air to circulate around your fruit keeping it fresh and it looks great. I have no pictures of this as everytime I have brought fruit home & put it in here it gets gobbled up, but that's a good thing, right? CSNStores.com has been generous enough to offer one of my readers their own Reston Lloyd 3 quart colander in the color of their choice. This contest is open the residents of the United States & Canada only. Entries will be closed at midnight on Friday, June 18th at midnight EST. *If I can't contact you through a blog, make sure I have an e-mail address in the comments where I can reach you. Winner will be drawn Saturday June 19th and winner will be notified. If I do not hear back from that winner within 48 hours, I will choose another name. Winners will be picked by random.org. Hop over & check out the Round Robin today at Keeping Up With The Schultz Family! Sorry I've been gone so long. I've been home from the hospital for several days now & just starting to recoup my strength. When I go to the hospital now it's just for pain relief and to "reset" my stomach. They keep me all hopped up on goofballs while I eat custard & other foods usually reserved for people with no teeth. I go back to the U of M Hospital on 7/8 for another appointment with the super-specialist. When Chris & I went camping a few weeks ago we passed a Hobby Lobby. I'd never been in one, but have heard crafting friends rave about it, so my hubby pulled the old motor-home in and in we went. I have to say I was underwhelmed. Not because it was bad, but just because this Hobby Lobby is so much like the Michael's I'm used to going to. Same layout. Maybe their owned by the same company. Anyway, sometimes I just see things that set me off. This was one of them. 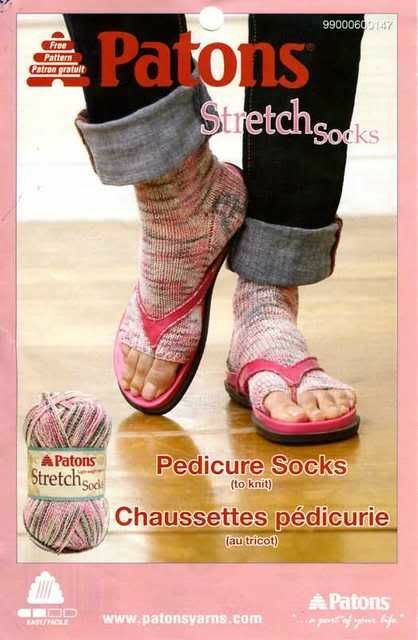 I guess the fact that they say pedicure socks make it better, but if I ran into any flip-flop & socks wearing person I'd have to refrain myself. I've never been a fan of the flip-flops. Don't jump on me, I just can't stand that thing between my toes. I wish I could wear them, their so cute and so prolific now, but I just stick to my rip-off Birkenstocks. I've got a great giveaway coming tomorrow (hopefully) so check back to win a really cute piece for your kitchen! If you're a reader, I'm posting lots of new book reviews on Mimi's Year In Books, so click over & check it out! 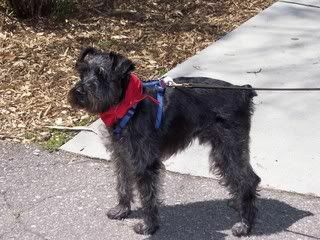 I am a sassy, social anxiety riddled, bi-polar, mother of 2 twenty-something sons, 2 schnauzer's with a blog & 2 cats. 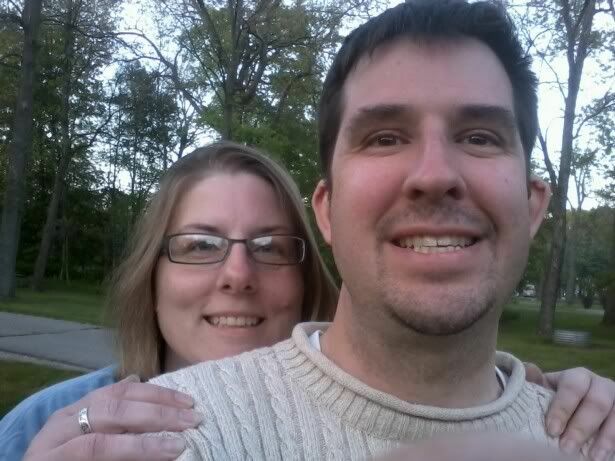 I also have one amazing husband, and a chronic stomach condition that often makes me look pregnant (gastroparesis). I would like to learn how to live life passionately and with true meaning. Until then, anything goes! I would love to do a review and/or giveaway of your product. Please contact me at hoerauf(at)comcast(dot)net for more information.